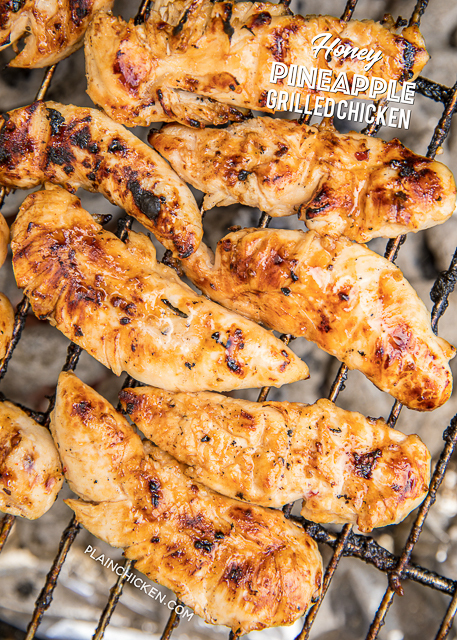 Grilled chicken is a favorite in our house. We usually grill up a big batch on Sunday to eat for lunch during the week. This week we made this Honey Pineapple Grilled Chicken, and it was crazy delicious! It was so good, that we made a second batch yesterday to get us through the week! YUM! 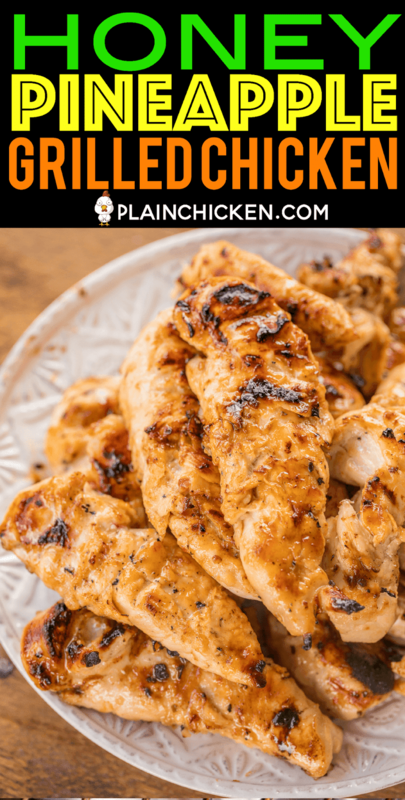 This Honey Pineapple Grilled Chicken is very simple but packs a ton of flavor! 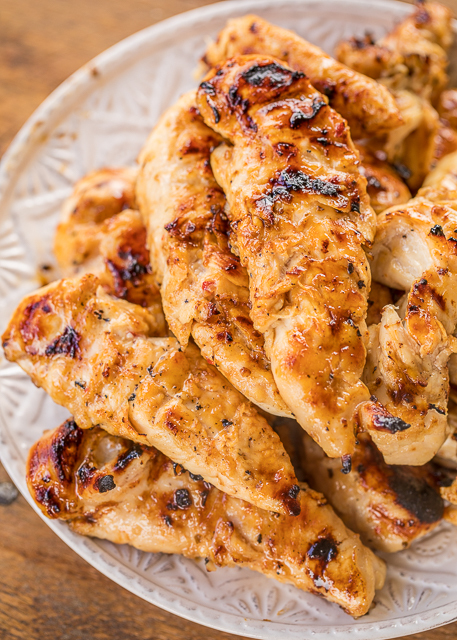 There are only three simple ingredients in the marinade - honey, pineapple juice and Italian dressing. Seriously delicious!!! You can let the chicken marinate for an hour or overnight. We always marinate this chicken overnight. I mix up the marinade before I got to bed and let the chicken hang out in the refrigerator until we are ready to grill. 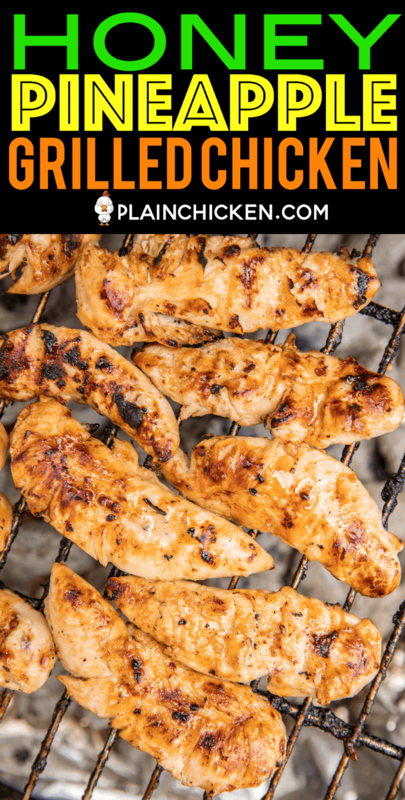 I used chicken tenders this time, but this marinade is great on chicken breast and thighs too! 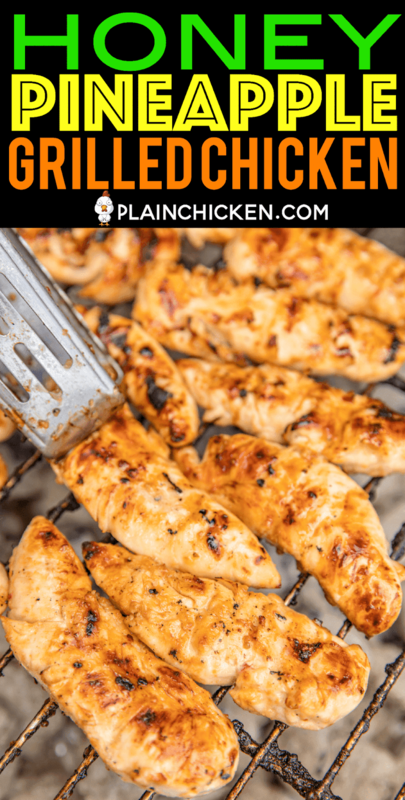 Mix ingredients and let chicken marinate for at least one hour, preferably overnight. 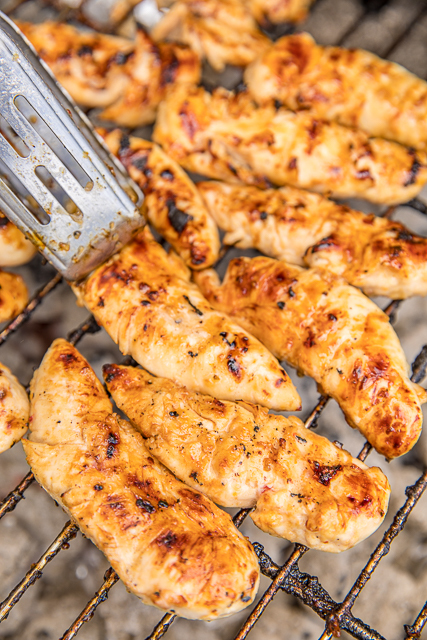 Remove chicken from marinade and grill until done, approximately 10 minutes. You can also bake these at 400ºF for about 15 minutes or pan sear them about 3 minutes per side. Hi - How about chicken breasts? Would this recipe be good for 2 large? 4? Thanks!